One of the most important issues when we organize the birthday party of our children, is the location, the place where you can realize all the ideas you have to celebrate your beloved children`s day, remember that the location choice is closely related to the time of the party. 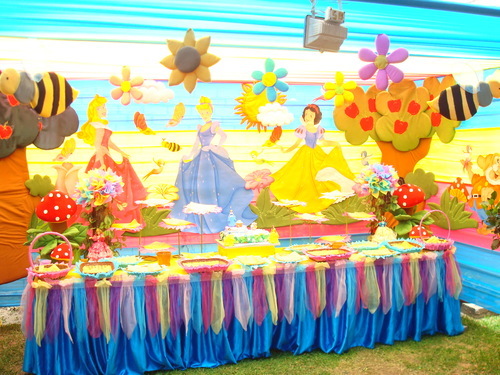 You actually have a wide range of options, for example if you decide to have the party outdoors can choose an amusement park, where you have the advantage that the games that are in place are a great distraction for the guests and the hosts, choosing one, be sure to look that you have an area that can make the show in which children or adults can meet, and of course, where you can show off with cake and snacks prepared for the occasion. You also have the option of riding an amusement park in your house, the first requirement, have the necessary space, the image is a good example, no need to buy or rent complicated rides, inflatable games to rent are enough, do not forget to place these large spaces filled and will need no decoration, just as you dedicate a room or an area for tables and/or the show. 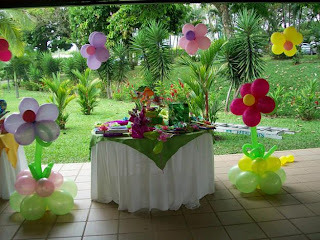 If you prefer something simpler, but outside, you can organize something very nice, in this case I suggest you to put tables and chairs cause at some point your guests will need a break, do not forget to choose the best place for your head table and leave space for the show. 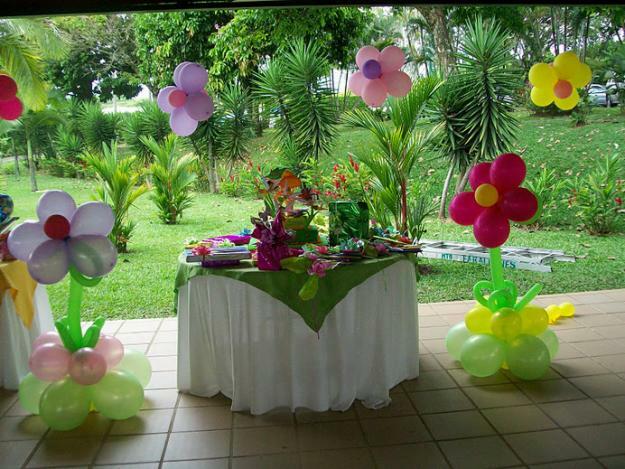 If you have the option to make arrangements outside but under the roof, this would be great, as shown in the photo. 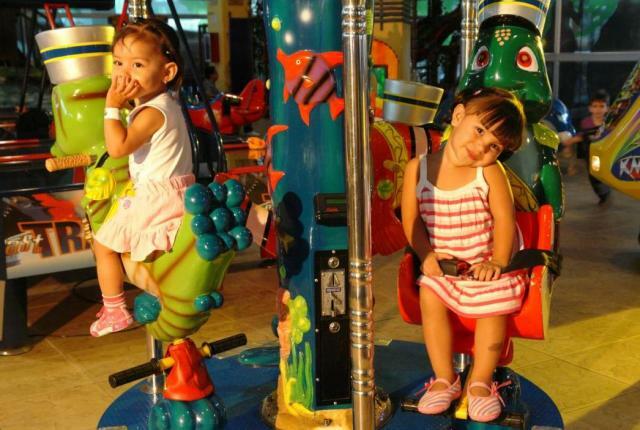 Your guests will becomfortable and children will have all the free space to enjoy. 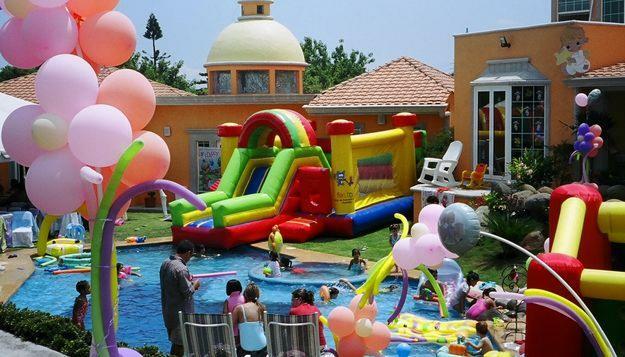 If you do not have the latter option, no problem, the solution is to hire tents, awnings or roofs and accommodate within it everything necessary to carry out the party. 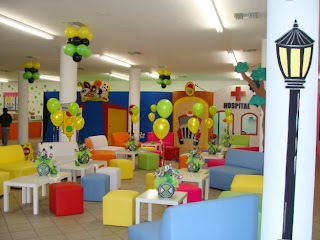 Finally you can choose indoors and clearly this is the best option if the party is in the afternoon or evening. You can rent a room and decorate it, respecting the area of ​​tables and chairs, head table and free space for the show. 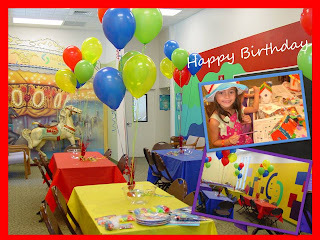 If you prefer you can acclimate a room at home if you have enough space, but another good option is to rent a restaurant with children's games or environments for them, since they often have meeting rooms ideal for children's parties.